One of the most fun new genres is found in gentle twists of modern culture. 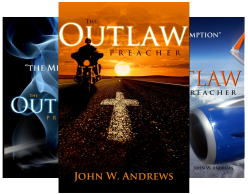 Christian Urban fantasy generates cultural self-examination. This is sorely needed today. Sadly, it is often spent on superheroes and wildly fanciful spiritual warfare. But sometimes, it gives us a chance to see reality in a new light. Luhring has created a unique concept with this novel. Not only has he given A Christmas Carol a twist and set it in a modern setting, it is also a story within a story. When you start this novel, you are not introduced to Scrooge. The character that creates this story within a story, Professor Edward Spassnicht, emerges in the Introduction and the reader meets him again in the Epilogue, with him achieving what he set out to achieve, through adapting A Christmas Carol to tell of his opportunity to reconsider the meaning of life and (through Scrooge) his answer to the question of God’s existence. 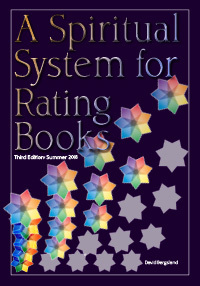 Luhring has adapted this classic very skillfully. 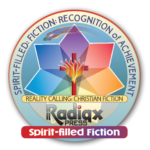 From the review: This spirit-filled superhero Jesus boy presents an urban fantasy as an extension of true reality. The wondrous events ring true even though we know this is fiction. It’s clearly a teaching vehicle. But the characters portray a reality commonly lost in current churches. 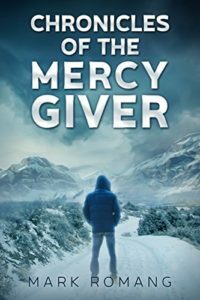 Blurb: “Joshua Phillips, a fourteen-year-old boy dares to embrace with all of his heart, mind, and strength to follow Jesus. But following the Master isn’t without tribulations and trials as the young man faces the growing pressures of his family, his school, and the mysterious girl he begins to court, Lydia Claremont. “As the signs and wonders begin to follow the boy, and as the boy’s impact begins to be observed throughout the school and community, there comes the crucible of staying true regardless of his surroundings or circumstances. When news comes about his little brother struggling with an aggressive form of leukemia which seems resistant to Josh’s prayers, and when unexpected news about Lydia becomes known to all, there comes the greatest of tests for Josh. “Is that which is within Josh capable of changing the world? Will the world be changed or will he be changed by the world? Joshua Phillips is the Jesus Boy. These are powerful books—extremely enjoyable. 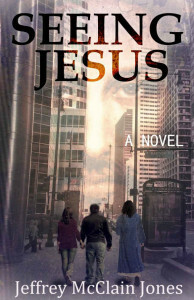 Book 1, Seeing Jesus: Philly Thompson lives alone with his cat, Irving, in a one-bedroom apartment in Chicago. He worries about his weight, frets about his job, longs to get back with his ex-girlfriend, and wishes his ma would stop nagging him. To you and me, a pretty average guy. To Jesus, the raw material for a miracle . . . or two. When this ordinary guy stumbles into an extraordinary experience, everything seems possible, except staying stuck in that same dull life. Seeing and hearing Jesus right beside him rocks Philly’s world and reaches beyond him to his coworkers, his girlfriends and his family. Too bad no one else can see or hear Jesus there. Will Philly be rejected yet again? Will they just decide that he’s crazier than they imagined? Or will they let Philly’s contact with the Divine lift them out of their suffering and light their lives with hope? So, your grandmother, who you’ve unknowingly relied upon spiritually through the years, has a stroke. You go to the hospital and pour your heart out to her asking her to pray for you. Shortly thereafter Jesus shows up in person, visibly and audibly, for a long time. I was concerned, but the story is wonderfully handled with a reality that is extremely rare. Hearing Jesus, book2: Gladys Hight lives alone in a cozy little house in southeastern Wisconsin. Occasionally, her family has heard her speaking with Harry, her husband, who died four years ago. Her daughter, Patty, the type-A opposite of Gladys, worries about her mother’s sanity. At seventy-eight, even Gladys has her doubts.When she assumes she’s alone in the house one Sunday, a stranger suddenly appears and begins talking to her as if he has known her forever. In spite of discovering an unexpected man in her house, Gladys is not frightened, though she does wonder anew if she’s losing her marbles. Complicating her self-doubt is the fact that the man smiling at her in her hallway looks just as she imagines Jesus would. 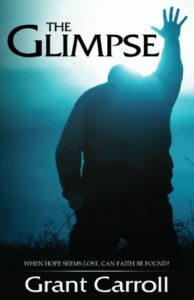 Further, she discovers that no one else can see him or hear him as she can.In the days and weeks that follow, Gladys’s friend convinces her that he is real, and that he is Jesus. More than that, he shows her how much he loves her, as he squires her through her formerly lonely days and accompanies her into wounds from her past. Not only does Gladys receive emotional healing, but she also serves as Jesus’s messenger for people around her, both family and strangers. Though she had never wished for such a rare experience, nor even imagined such a thing possible, nothing in all her life impacts Gladys more profoundly than actually seeing and hearing Jesus. Sharing Jesus, book 3: What could be better than marrying your soulmate, with whom you can share the rest of your life? Sharing Jesus with that person. 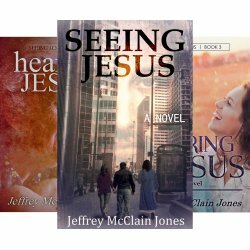 Inspired by SEEING JESUS, and now the third book in the Seeing Jesus Series, SHARING JESUS explores the boundaries of belief and imagination, while revealing that Jesus’s grace and love have no boundaries. 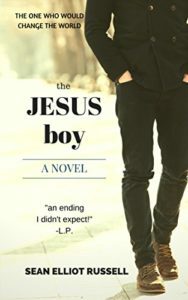 Finding Jesus, book 4: This fourth book (and one of my favorites) in the SEEING JESUS series, introduces Karl Meyer, whose retirement becomes a lonely prospect when his wife leaves him and his dog dies. Such losses might test one’s sanity. That’s what Karl assumed was happening when he began to hear noises, and then voices, in his old house. Though dizzying at times, what follows fills Karl’s home with beloved companions and hope for the future. Holding Jesus, book 5: Trudy Jensen has been caring for other people for over twenty years, their broken hearts, broken lives and broken relationships. Now she’s thinking about her own relationships, particularly with men. Should she try online dating? What if one of her counseling clients found her online? Even as she stalls over these questions she meets an intriguing man. Does she recognize him? Is he only friendly and not really dangerous? Is he who he claims to be? Accompany Trudy as she wakes to a smiling face, cries on a reliable shoulder and discovers that God is real in her daily life. God has never gone by the popular, common vision. He has plans of His own. So, we need to be ready, no matter what actually happens. The stories follow the life of Emily Bell and her Aunt Gemma. They are remarkable characters. Gemma is a deaf and dumb orphan. Emily is her niece. The tale begins just after Emily’s father dies and she’s left in the care of her aunt. Through the grief and strangeness to the 13-year-old, we see something unusual. We are given a view of the angels assigned to be guardians to these two. As the story develops we discover that Gemma has open direct, visual and auditory contact with her guardian, Staniel. As the stories proceed, the spiritual warfare is openly shown. It’s great fun. Girly teenybopper emotions and angst? Sure! But, it’s so much more than that. It’s an excellent book touching Truth in a wonderful tale of entertainment. This is spiritual warfare on a superhero level. 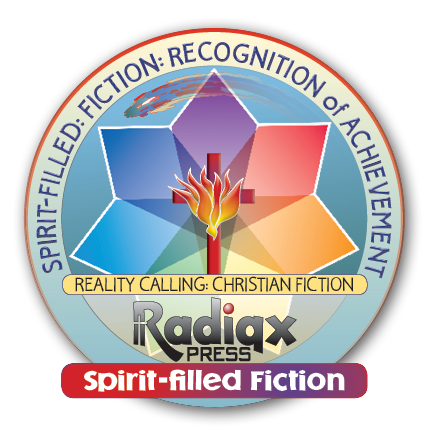 This tale has strong spirit-filled believing adults, as is the heroine–but not Pentecostal. She’s a PK. Her preacher father is badly abusive and becomes horribly oppressed (at least) by nasty demons. Her mother goes back and forth from enabler to subversive supporter–sorta. What did you think? But, they’re well done, if a bit quick and predictable. The main topic is spiritual growth and spiritual warfare. The warfare is not realistic. It’s very Hollywoodized, over the top, yet handled seriously and with a solid core of Truth hid behind the fangs, claws, and snarls. This is a fun read for teens. It will work for mid-school also, if you read it first. And you will enjoy that read. 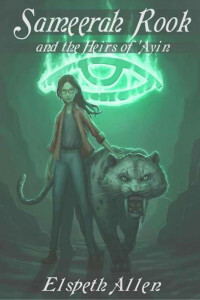 Sameerah Rook and the Heirs of ‘Ayin takes a simple speculation: there’s a family of man who is called and enabled to see and battle in the warfare between angels and demons, and turns it into a YA/midschool read that will get young minds thinking. Sameerah Rook’s life is falling apart and that’s _before_ she starts hearing things: Lions in the night, dolphins in the city reservoir, voices that tell people what to do. She thinks she’s going crazy until she discovers her eccentric English teacher can hear them too. The only problem? She already knows he’s crazy! 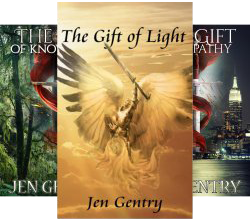 After Sameerah discovers she belongs to an ancient race who can all perceive the spiritual realm, she finds herself navigating the pitfalls of middle school amidst her growing awareness of angelic warfare. Through embarrassment and triumph, beauty and heartache, Sameerah discovers a new way of seeing even the physical world she thought she knew. This is full-out warfare! I do not want to spoil the book, but it gives an intriguing look at the constant battle all around us between the enemy and the angels of the Lord. I enjoyed it immensely. Though it’s not technically evangelical or full-gospel, the reality of the spiritual warfare and the results of conversion are honestly explored. God talks to his people. However, I really can’t give it a five because almost all the communication is with angels and demons as opposed to the direct dialog we are expected to experience with Jesus and the Holy Spirit. On the other hand, the spiritual warfare is quite realistic once you get over the jolt of seeing it. This is an enjoyable little read for believers. 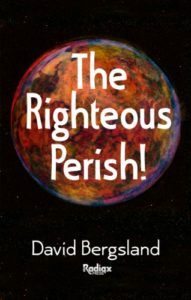 I believe it is meant as a frightening wake up call for mainline church members who are rarely taught how close the end of the Gentile Age is. It’s a fictionalization of a vivid dream. Some of it is already being experienced by the believers in America. 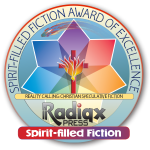 It’s an easy to enter, intriguing tale of Christian persecution and spiritual victory for a slightly future United States. Spiritually, it’s solidly evangelical. I didn’t find it preachy, but there is a lot of shared scripture and evangelistic doctrine. It’s about the final harvest of the United States.